BOCA RATON, FL — Boca Raton Football Club is delighted to announce that Admiral Sports has renewed its partnership through the 2020 season and will remain the club’s official uniform supplier for all competitions. One of the most legendary brands in the soccer world, Admiral has been worn by some of the biggest names in the soccer world including the New York Cosmos, Manchester United, and the English National Team. 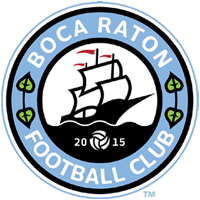 Admiral will supply Boca Raton FC three kits, a home, away, and alternate kit, currently the home jersey is on sale at the team store at www.bocaratonfcshop.com. The away and alternate jersey’s will be reveled early in 2019.